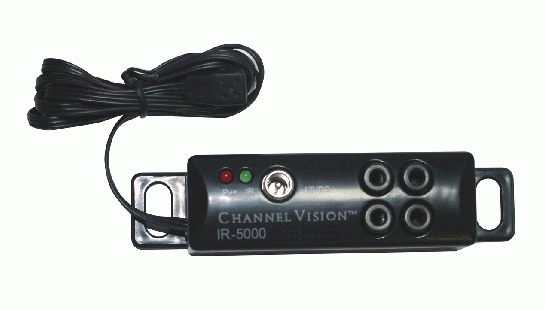 This handy IR kit is ideal for A/V components hidden away in a rack or cabinet or even another room. Use your remote to control your home theater devices without having to get up and open a cabinet door every time your want to stream a movie or play a video game. 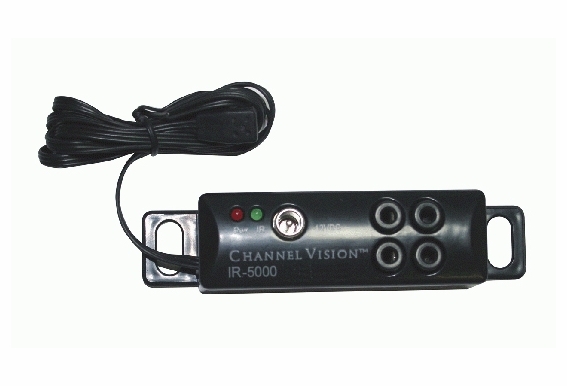 The IR-5000's 2-piece design allows for the hub of the IR system to stay hidden inside the equipment cabinet while the tiny IR receiver head is placed in an inconspicuous location. 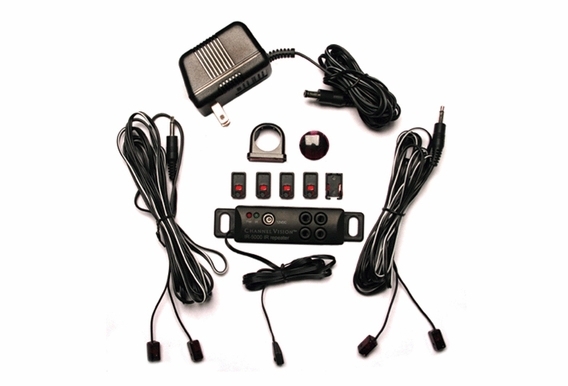 Keep in mind that unit is designed to have a single receiver placed close to your TV. 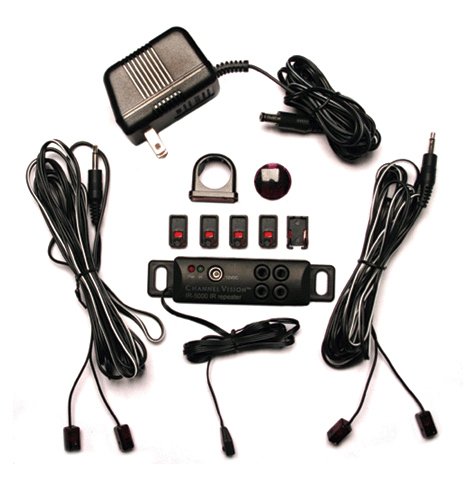 A hard-wired connection for up to four emitters can be placed directly on the components that you want to control. The emitters are placed over the actual receiver sensor of the component. I have a room project where the LED TV is wall mounted, and the component rack is 19 feet away on the opposite wall. In the rack will be the Carrier HD box, stereo etc... I see a length restriction of the emitter sensor of 36 inches how do I make the wireless system work are the other emitters extendable to 25 feet or so? THIS IS A REMOTE CONTROL EXTENTION RIGHT? What do I need to expand it to 8 inputs?